Consecutive possessions where Wisconsin takes an ill advised 3-pointer without much thought of attacking the post. The #Badgers , down 47-40, will be in the bonus for the final 7:04. Brown to the line when play resumes. Vitto Brown to the line following the under 8 media timeout. UW trailing 47-40. Brown leads UW with 9 points. Vitto Brown fouled at the basket. He'll shoot free throws on the other side of the timeout. #Badgers still can't break Cats -- a tough, resilient team. UW deficit if 47-40 with 7:04 left. Brown at line for 2. Vitto sinks both free throws. Let's get a stop, fellas. Nigel Hayes converts the 3-point play at the line. #Badgers within 4 now. These @dererk5 dunks got us feeling some type of way. 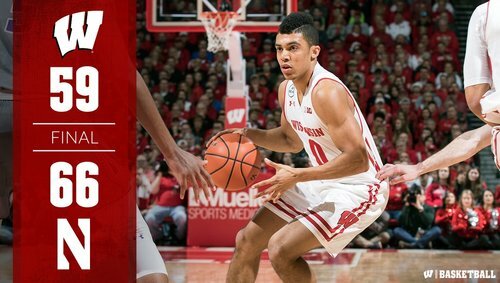 D'Mitrik Trice coming up with a BIG second half off the bench for the #Badgers ! He's got 6 points, 5 rebounds. McIntosh hitting tough shot after tough shot. 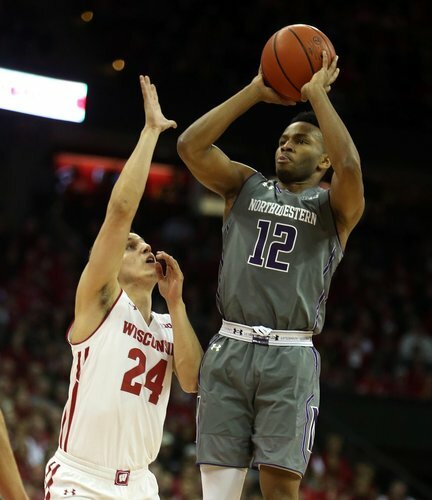 He has 19, and Northwestern leads 56-49 with 3:30 left. McIntosh killing #Badgers with 19 points, five assists and five boards. UW down 56-49, with 3:30 left. Wisconsin has been surviving w/o its shooting because of its defense. Wildcats at 46.4 percent this half. Hmmm. I am not so sure about that one. Bryant McIntosh hits a pair of free throws. Pair of FTs coming for UW. 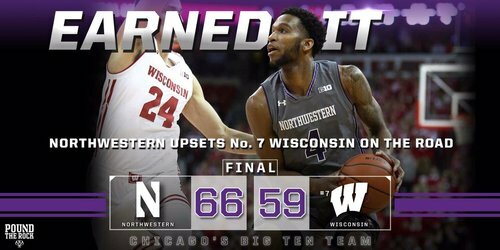 Final: Northwestern 66, #Badgers 59. McIntosh with a game-high 25 points to go along with seven rebounds and seven assists. Add it to the resume. The #Badgers had as many turnovers (12) as they did points in the paint. Yikes. First version of #Badgers losing to Cats is filed but not posted yet. Best team Collins has had. Tougher than UW 2Day. #Badgers Happ had 3 turnovers vs NEB and 4 vs. Cats today. 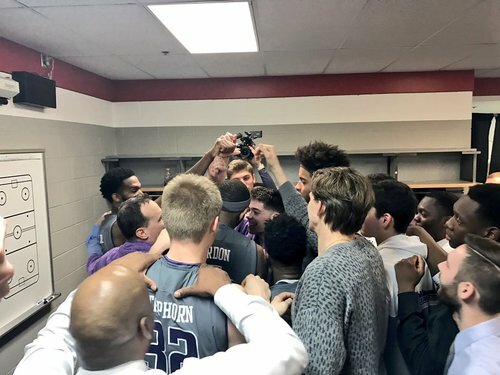 Michigan next for UW. Happ went 5-13 for 11 pts first time. NW coach Chris Collins: When you lose a home game in this league, you have to go on the road it get it back somewhere.